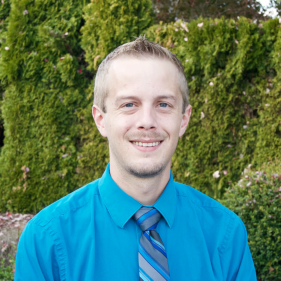 Dr. Clark graduated from Pacific University College of Optometry in 2009, after receiving a Bachelor of Science degree in Zoology from Idaho State University in 2005. Born and raised in Southern Idaho, Dr. Clark is an outdoor enthusiast. He enjoys spending time exploring the great Northwest with his beautiful wife, Becky, and their two children. Justin is an Oregon native, born in Portland and raised in Keizer. He has been helping people in various fields his entire working life, all rooted in the customer service industry. When the opportunity arose to become an optician he took it and found a new passion. He’s now been helping patients see clearer for three years and enjoys providing quality care. He also loves the technical aspects of this career; fixing glasses, fittings and adjustments. When he is not working, Justin enjoys doing just about anything outdoors! He recently discovered he has a green thumb after joining his local community garden. This list is always growing, please contact our office for more information. McMinnville Family Eye Care is happy to answer any questions you may have regarding your insurance benefits!